A newly proposed “distracted walking” legislation would prohibit people in Ontario from using their smartphones while crossing the street. Yvan Baker, the Liberal MPP for Etobicoke Centre, is set to unveil the “Phones Down, Heads Up Act” on Monday as a private member’s bill. It’s worth it to note that private member’s bills rarely make it into law. If the bill does become law, those in violation of the “Phones Down, Heads Up Act” would face a $50 fine for their first offense. From there, the fine would increase to $75 on their second offense and $125 for the third offense. The ban wouldn’t apply if someone was using a phone to contact emergency services, or “to continue a phone call that was started before crossing the roadway.” Municipalities would be allowed to opt out of the ban if they chose. The proposed law is supported by the Ontario Safety League, a non-profit traffic safety organization, as well as the Ontario Catholic School Trustees’ Association. 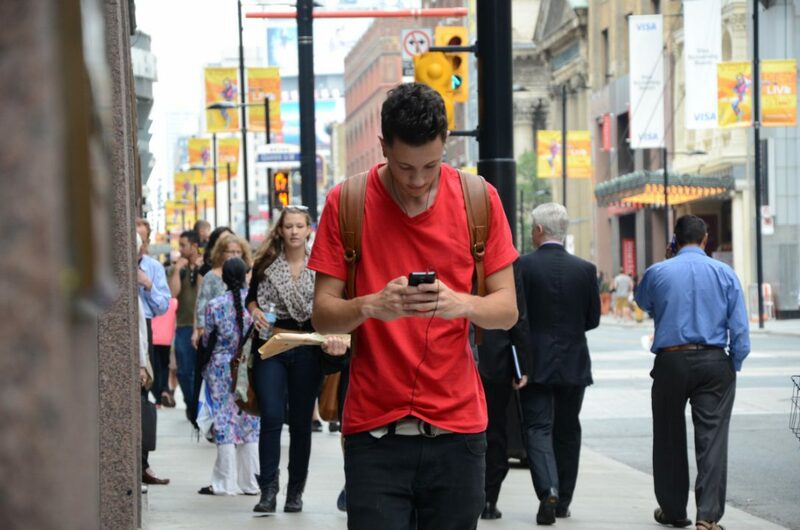 Some public polls suggest there is majority support in Canada for “distracted walking” legislation. What do you think of the “Phones Down, Heads Up Act”? Let us know in the comments below!